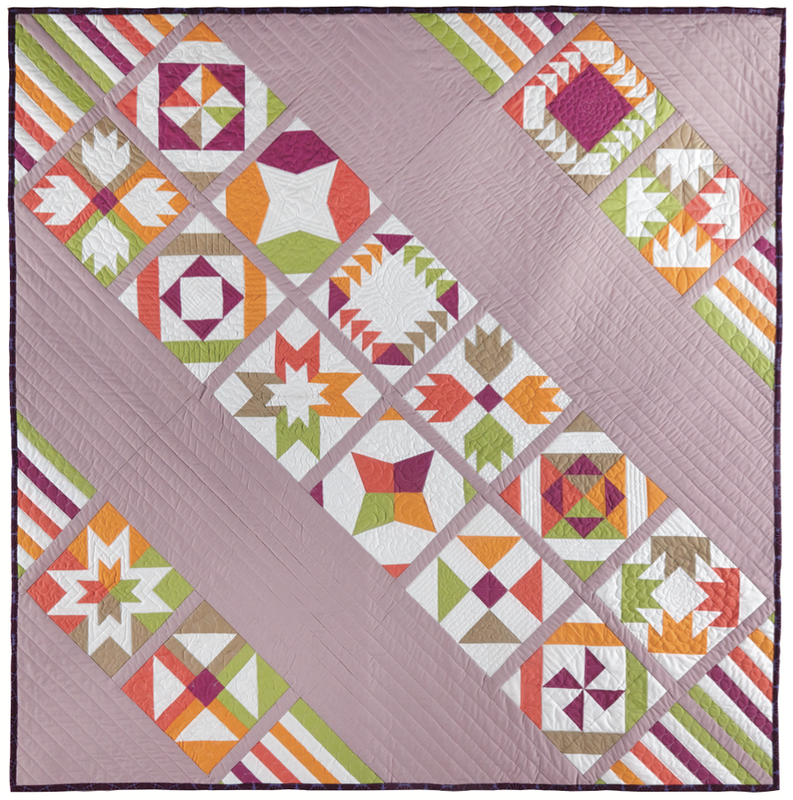 Today is my stop on the Sister Sampler Quilts Blog Hop. This wonderful book is written by AnneMarie Chany from Gen X Quilters - you can find out more about the book right here. 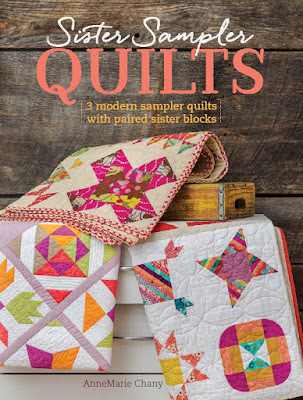 The book gives a modern twist to traditional sampler quilts by taking twenty-five traditionally pieced blocks and pairing them each with a "sister" block that is different to the original in fabric placement or colour layout. 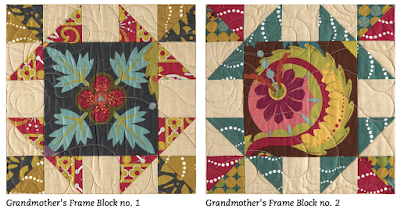 And putting these pairs of sister blocks together within the quilt creates added interest to the finished sampler as you can see below in the first of the samplers showcased in the book. 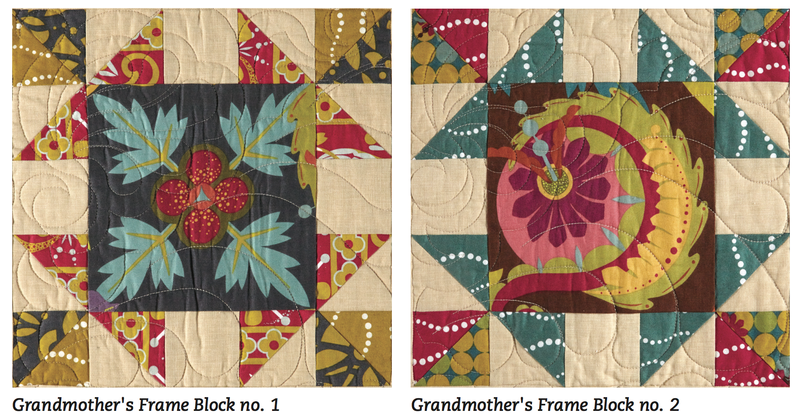 In the another of the samplers in the book, the colour placement within the blocks is reversed in the sister blocks to create a whole different effect again. 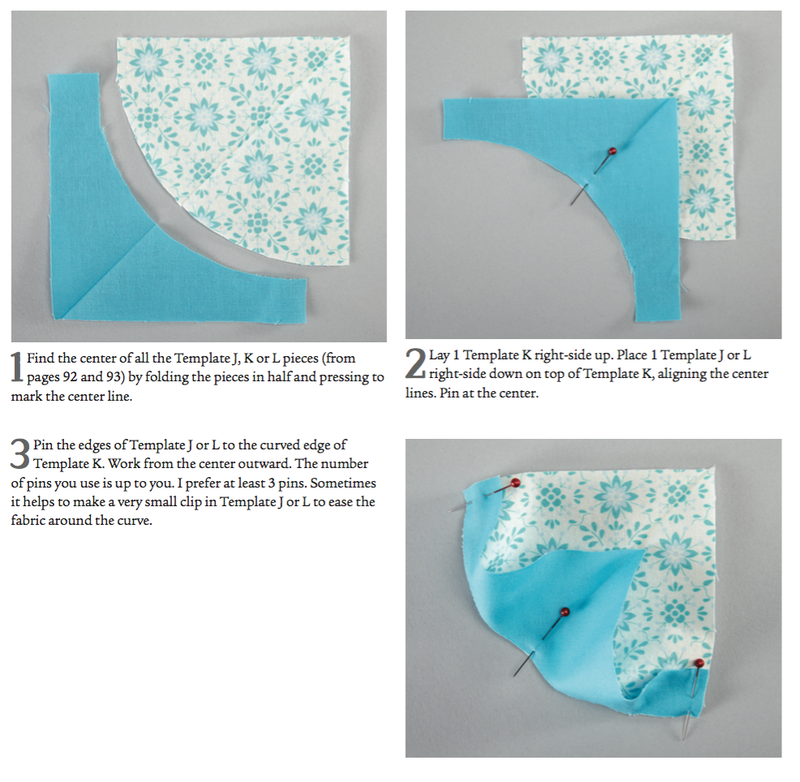 I think the thing that really sets this book apart for me is the beautiful sampler quilt layouts - AnneMarie has moved away from the traditional simpler 5 x 5 rows layout to create new and imaginative sampler designs. In addition to the blocks and the sampler quilts, there are extensive "how to" sections at the end of the book so that this would make a great book for a beginner as well as someone with extensive quilting knowledge and experience. If you would like to find out more about this wonderful new book, head on over to all the other stops on the blog hop tour which are listed out below. I love her take on sampler quilts! I love these sampler quilts ~ the placement of the blocks on the two shown are perfect! 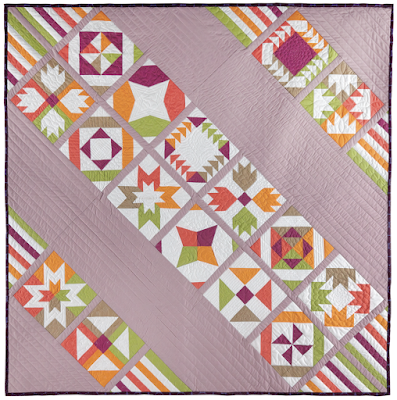 Lynne, Thank you for sharing in Sister Sampler. 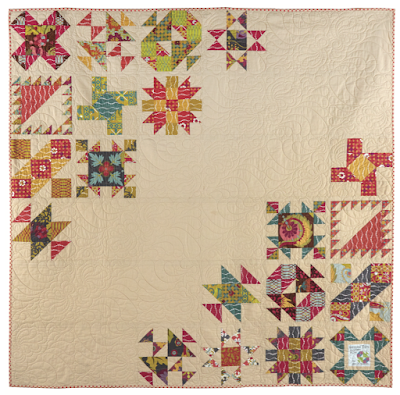 What beauty in each and to think I've never played w/color placement that way...I'm stepping outside for once! 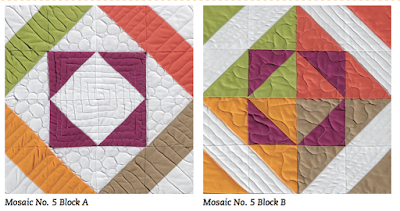 Loving the diagonal placement too, vs row by row, block beside block. Happy Friday!